DevPortal Awards brings together the API community to recognize, celebrate and learn from the world’s greatest developer portals and their API documentation. A handful of leaders in the API space are developing DX innovations for their API products and developer portals, but these efforts are not coordinated, and it is difficult to see clear trends in the API docs space. We want to create an opportunity to celebrate the best developer portals and their API documentation components, so that the API industry as a whole can accelerate its own learning. The DevPortal Awards will recognize and celebrate the best solutions in a number of categories - what we believe to be the key components of a developer portal. The Awards team is happy to share that Nomination starts in May. Nomination criteria don't change – you can nominate any public API developer portal. What are the jobs that we need a developer portal to fulfill? What are the best practices and design patterns? How can these be implemented? Watch Kristof's talk from DevRelCon Tokyo 2019, where he talked about The Anatomy of a Great Developer Portal. Do you know a really great developer portal? What does it do differently than the others? Nominate your favorite portal and tell us what can we learn from it. Submissions start in May! Just like last year, every nominated portal runs automatically for the Best Overall Developer Portal Jury and Community Prize. How can you strengthen user engagement right from the very start of your API program regardless of whether you have a public-facing, partner or internal devportal? 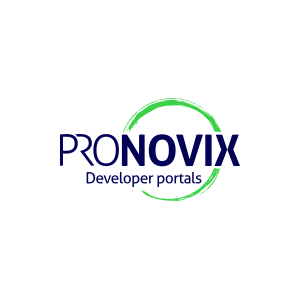 Read Pronovix's article about the three key concepts of strengthening user engagement.